professional and personal removals for homes, furniture and office moves. 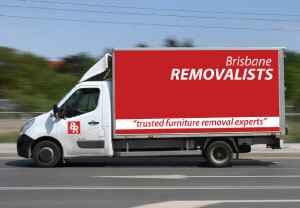 At Brisbane Removalists, we’re committed to exceeding your expectations. We offer affordable Brisbane removals backed by the highest level of personal service. We have a team of eager and experienced movers who are ready to help and assist you in all types of moving situations and make moving faster. There is no move too big or small and we are proud to be a Brisbane removals team that is focused on service. Our team specialises in house, unit, and office moving solutions, and they are trained extensively to meet national standards. You can trust Brisbane Removalists to pack, remove, relocate and arrange items efficiently and professionally. To be professional at all times. Our team of full-time movers will be polite, friendly, patient and go out of their way to make sure every customer is satisfied every time. We’re dedicated to customer service. We will respect your schedule. We value our customer’s time and understand the importance of being on time when you need us the most. Have effective communication. We will keep the lines of communication open at all stages of the home, office or furniture removal and believe in complete transparency for all of our removals and moving jobs. Safe handling of your belongings. The utmost respect and care will be used when handling your belongings, no matter how big or small. You can trust we will move your belongings as if they were our own. Relocating your items safely. The team will transport your things to your new space and place them where you would like them to be. We’re competitively priced and can move, pack and unpack your belongings. We offer our premium services to clients in the areas of South East Queensland, including Sunshine Coast, Gold Coast, Brisbane, and the nearby regions. With over eight years experience in the removal industry, our customers can have peace of mind that your valuables will be transported carefully and efficiently. Our removals services are suitable for both residential clients and professional clients seeking office moves – whatever you need moved, we are the professionals to do it. We offer flexible moving services to our customers. Clients may want to pack for themselves or transport some items. We can handle only some parts of the moving process for you, or you can let us do everything for you. Either way, you will only be charged for the work we have done so you have full control of your moving costs every step of the moving process.